Dewhirst, John. "Tla-o-qui-aht (Clayoquot)". The Canadian Encyclopedia, 16 October 2018, Historica Canada. 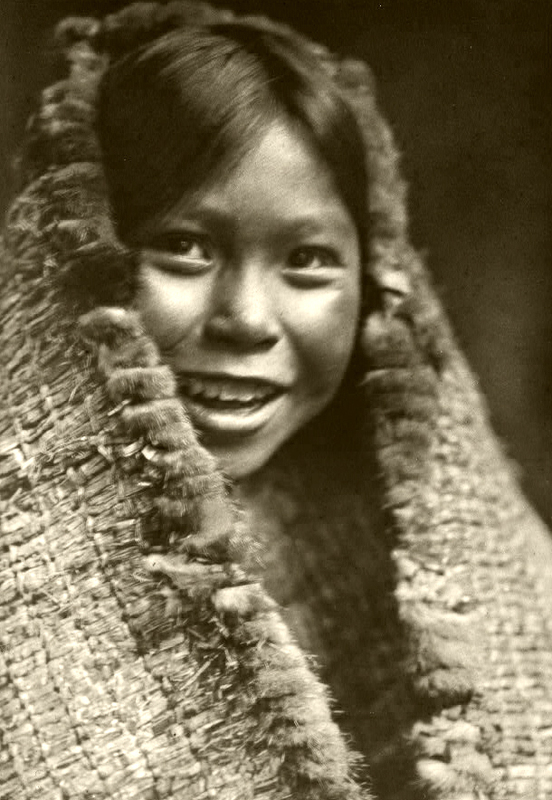 https://www.thecanadianencyclopedia.ca/en/article/clayoquot-tla-o-qui-aht. Accessed 20 April 2019. 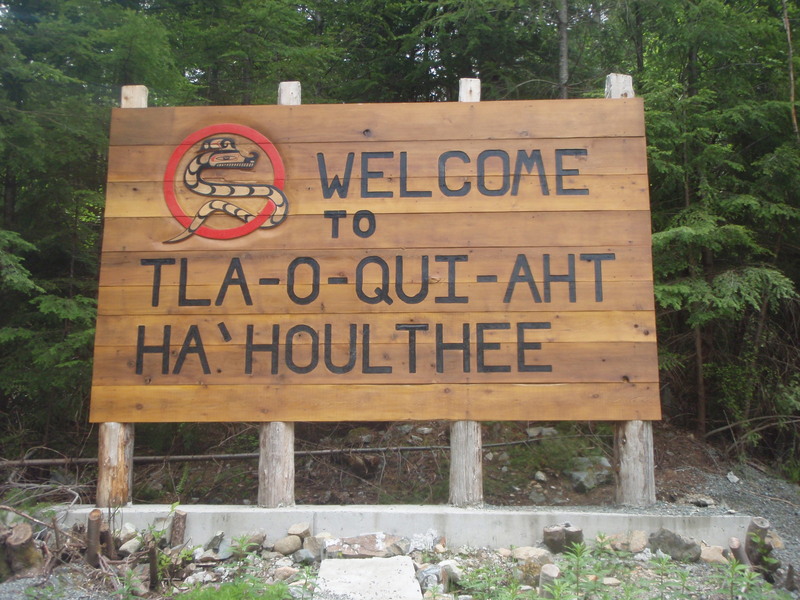 The Tla-o-qui-aht First Nation (meaning the “people from Clayoqua” or the people from “Tla-o-qui”) are a member of the Nuu-chah-nulth Tribal Council. Tla-o-qui-aht territory is located on the west coast of Vancouver Island, British Columbia. As of September 2018, the nation has a registered population of 1,147 registered members. Image of a B.C. 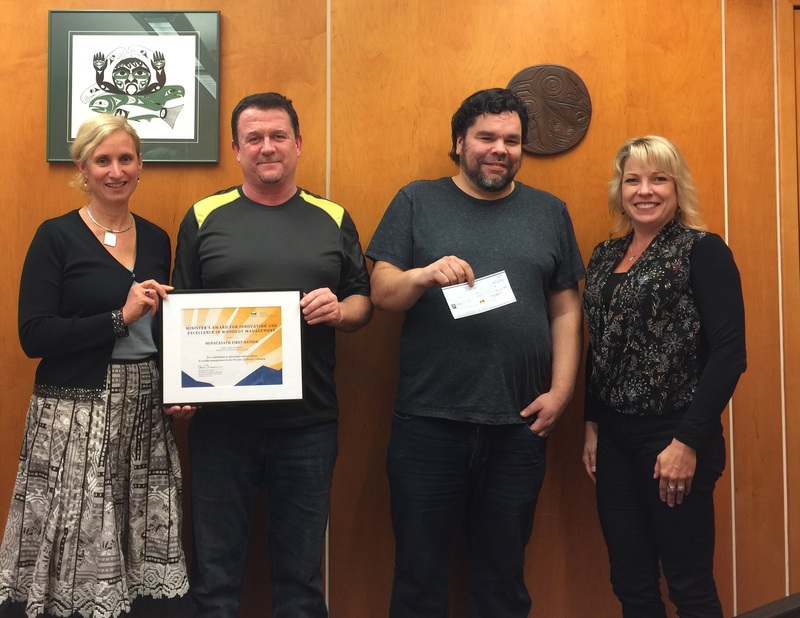 government official providing $700,000 and an accelerated land transfer for the Tla-o-qui-aht First Nations to support jobs and economic development in the tourism and clean technology sectors in Clayoquot Sound. (16 November 2012). The traditional territories of the Tla-o-qui-aht, known as Ha-Hoothlee, include Tofino, Meares Island, Long Beach and Sutton Pass. In the late 1700s, the Tla-o-qui-aht were entangled in wars over territory with other coastal First Nations, including the Toquaht. The Tla-o-qui-aht, originally comprised of a number of small groups that lived around Ha-ooke-min (Kennedy Lake), allied with neighbouring groups to conquer the Esowistaht and other nations whose territories included Tofino Inlet, part of Meares Island and the Esowista Peninsula. The conquering chief later became the famous Wickananish, who controlled the sea-otter	trade at Clayoquot Sound in the late 18th and early 19th century. Today, the Tla-o-qui-aht occupy three main sites: TyHistanis, Opitsaht and Esowista. As of September 2018, the nation has a registered population of 1,147 registered members, 717 of whom live off reserve. Before the coming together of various bands to form one nation, the Kennedy Lake peoples mainly relied on nourishment from salmon. After the bands united to form the Tla-o-qui-aht, they acquired access to other sea creatures, including sea otters and whales. They also hunted deer	and foraged for berries and plants to supplement their diet. Tla-o-qui-aht nation was historically governed by the ha’wiih (hereditary chiefs). These leaders were very powerful and owned the rights to certain ceremonies, stories, songs and territories. Although the ha’wiih are still significant cultural leaders, the Tla-o-qui-aht nation also has an elected government of a chief councillor and various councillors who serve two-year terms. Historically, the Nuu-chah-nulth have had a strong ceremonial culture, characterised by feasting and entertainment with song, dance, contests and theatricals (see Potlatch). The Nuu-chah-nulth have also been known for their stunning woodwork, including canoes, totem poles, multifamily houses and other products hand-crafted out of fine cedar (see Northwest Coast Indigenous Art). The Tla-o-qui-aht speak a dialect of Nuu-chah-nulth known as Central Nuu-chah-nulth (Nuučaan̓uɫ). The language is endangered; as of 2014, there were only about 20 to 30 fluent speakers. The Tla-o-qui-aht nation works to preserve and promote their traditional language through community services, including language classes, opportunities for new speakers to interact with elders and technology designed to help teach the language. The Nuu-chah-nulth belief system centres on a Creator being as well as spirits whose powers can be used to bring peace and fortune. The Nuu-chah-nulth believe that all life forms have a spirit, and should therefore be respected and appreciated. Shamans	ensured the spiritual health of the people by practising ancient medicines and healing rituals to cure illness and restore balance to the soul (see Indigenous Peoples: Religion and Spirituality). In the late 1700s, the Tla-o-qui-aht made contact with European traders, fisherman and explorers. Trading continued into the early 1800s; however, these encounters were not always amicable. In 1811, the Tla-o-qui-aht attacked the Tonquin, a ship of the Pacific Fur Company, in an incident which effectively ended the maritime fur trade at Clayoquot Sound. By the 1900s, the increased presence of European settlers on Tla-o-qui-aht lands forced them onto government-created reserves. Assimilationist federal policies — including the Indian Act and residential schools — eroded Nuu-chah-nulth culture and traditional ways of life. Tla-o-qui-aht people continue to work towards revitalizing and preserving their language, culture and spirituality. 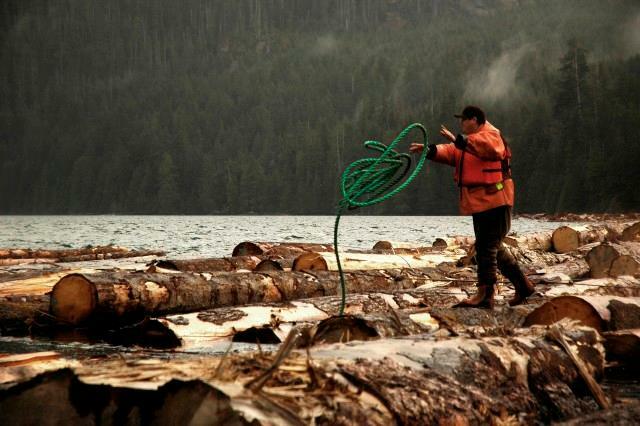 Beginning in the mid-1980s, the Tla-o-qui-aht and environmentalists actively participated in efforts to preserve old-growth forests (ancient woodland) in Clayoquot Sound. In 1984, the Tla-o-qui-aht sought to protect Meares Island from forestry	by declaring it a tribal park. Disputes over the land continued and, in 1993, the Tla-o-qui-aht and their allies from across Canada and from other countries protested the British Columbia government’s plans to log in the area. This large-scale protest, commonly known as the “War in the Woods,” led to over 800 hundred arrests. On 5 May 2000, the Tla-o-qui-aht celebrated a major victory when Clayoquot Sound was designated a UNESCO Biosphere Reserve. Currently, the Tla-o-qui-aht are involved in a British Columbia treaty process, negotiating with the federal and provincial governments to gain self-government. 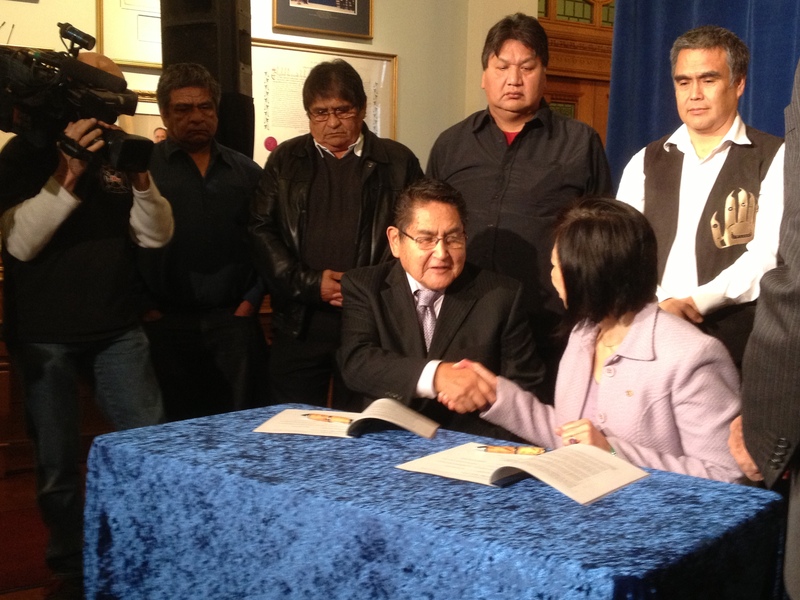 The Tla-o-qui-aht have completed various treaty agreements with the provincial government including revenue sharing agreements for hydro projects and forest consultation. The Tla-o-qui-aht operate several businesses and development operations on their territory with regards to fishing, forestry, wildlife, water, hydro and tourism. 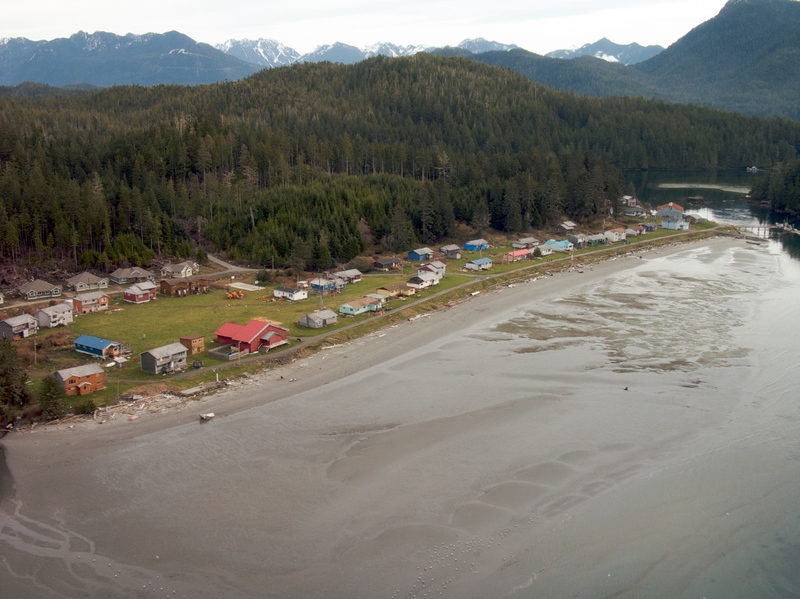 The Tla-o-qui-aht are part of the Nuu-chah-nulth Tribal Council, an association founded in 1958 that provides various services to approximately 9,500 registered members, including child welfare, education, employment training and other socio-economic programs that support health and development. Margaret Horsfield and Ian Kennedy, Tofino and Clayoquot Sound: A History (2014). Tla-o-qui-ahtConsultez le site Web de cette Première Nation (en anglais seulement). 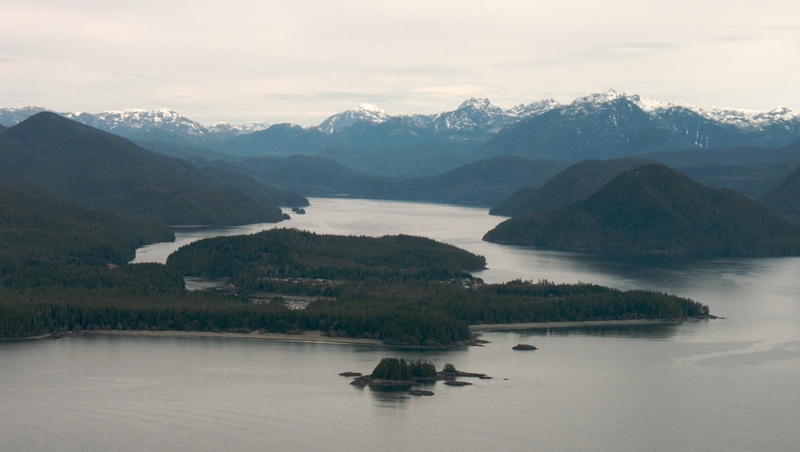 Researching Clayoquot SoundCheck out the latest ecological studies in the beautiful Clayoquot Sound region. From the University of Victoria.